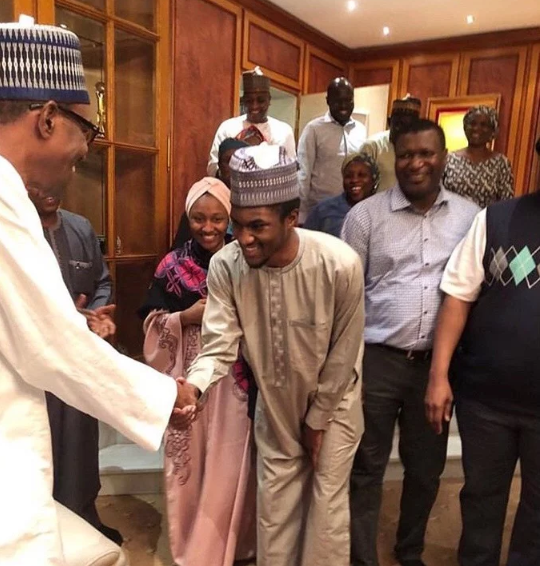 Yusuf Buhari, the only son of the President Buhari has returned from his foreign medical treatment. Recall that Yusuf was rushed to Germany after he was involved in a bike accident in Abuja. He was initially admitted at Cedarcrest Hospital, Abuja where he received immediate treatment. The development caused Aisha to be placed on bed rest as she suffered high blood pressure. 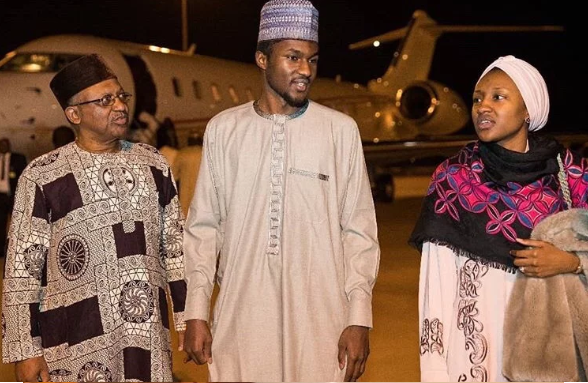 Although he was reported to have returned to Nigerian earlier in the week, Haye Okoh, personal photographer to his mum and First Lady, Aisha Buhari, posted Yusuf’s arrival photos Thursday morning. 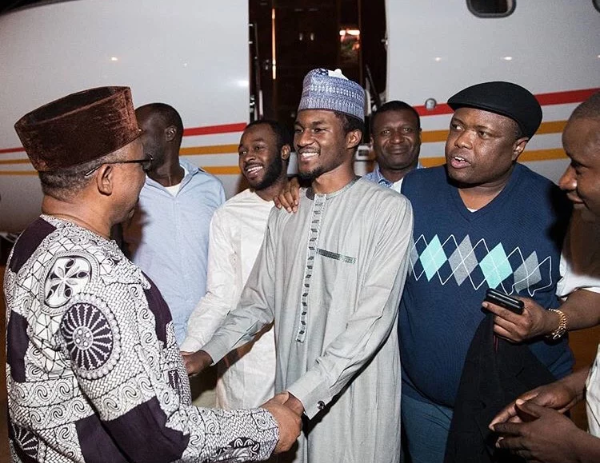 Yusuf is seen being welcomed by Minister of State for Healh, Osagie Ehanire.